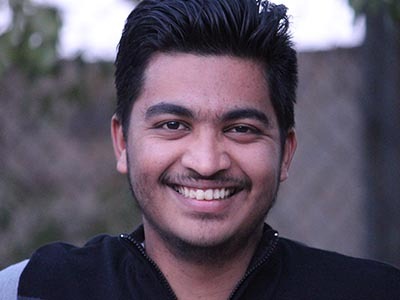 Saurabh hasa Master's degree inAtmospheric Sciences from Savitribai Phule Pune University and a bachelor's degree in Physics from Fergusson College. 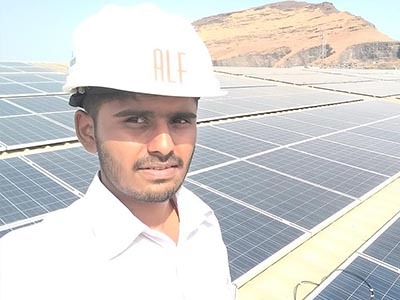 He has done Master's project in "Impacts of Climate Change on Crop Production in Maharashtra" from Indian Institute of Tropical Meteorology (IITM), Pune. He has experience in programming, GIS mapping, and numerical modelling. He is working as an intern at TERRE.He wants to pursue his career in climate sciences with a focus onthe impacts of climate changeon the ecosystem, human health,and water resources. Apart from this he other interests are reading, listening to music, photography. 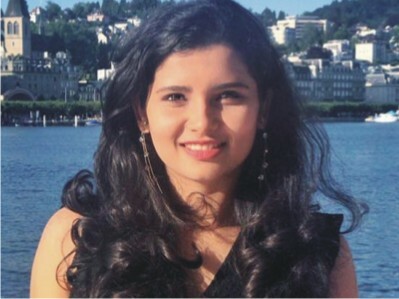 Bhagyashree Bankar is an intern in TERRE Policy Centre. 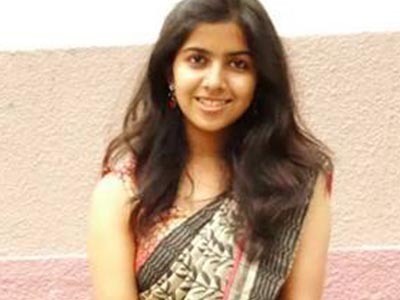 She is currently pursuing masters in environmental science from Fergusson College, Pune. She wants to research for, spread awareness and ensure implementation of pro-environmental friendly activities both at macro and micro level. She believes in sustainable innovation. Her hobbies are listening to music ,traveling to nature place. Apurva K. Mdelwar is an intern in TERRE Policy centre. She is currently doing her Masters in Environmental Architecture (M.Arch) in Dr. Bhanuben Nanvat College of Architecture in Pune. Kiran Patil is an intern in TERRE Policy Centre. 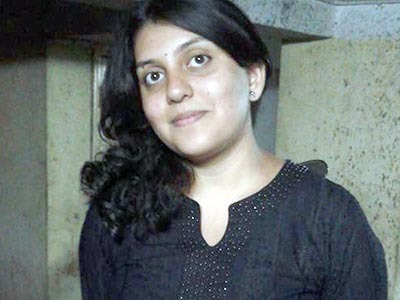 She is currently doing her Masters in Environmental Architecture in BNCA Pune. She has completed her Bachelor of Architecture from BNCA Pune.Her aim is to incorporate sustainability and energy efficient solution into building process. Her hobbies are sketching, photography, swimming ,reading books and many more. 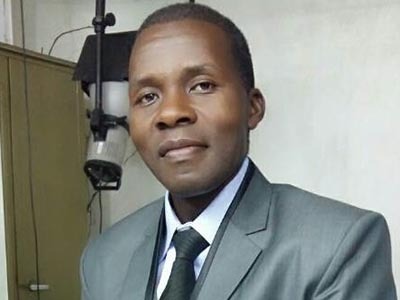 Sosten Chimimba from Malawi is currently pursuing Masters in International Studies in Symbiosis School International Studies (SSIS), a constituent college of Symbiosis International Deemed University. He has completed BA degree with Savitribai Phule Pune University (SPPU), majoring Economics. From 2017 to 2018, he has served as the elected President for ‘Association of African Students in India’ (Pune Chapter). Over the years, he has been a keen observer of how the environment is deteriorating and the impact of the same on human kind. With Global Commons as one of the courses in his educational programme, he is focussed to his knowledge about the environment, sustainable economic development, and climate change and how we can mitigate its impact and ensure a sustainable and safer environment. He is a fan of Jazz and Country music, lovesto dance and watch wrestling. Miroslav joined TERRE Policy Centre as intern in July 2017. He is from Slovakia and completed his Bachelor’s degree in Italy in International cooperation and development. One year he spent as an Erasmus student at the Humboldt University in Berlin, Germany. 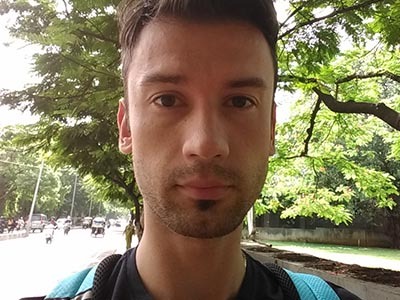 After he has completed his MSc in Human security from Aarhus University in Denmark he decided to dedicate his time in getting valuable experience in sustainable development and environmental protection projects. His hobbies include languages, sport, traveling. Anuja is an intern in TERRE Policy Centre. She is currently doing her Masters in Environmental Architecture in BNCA Pune. She wants to incorporate green building concepts not only to the new construction but also into existing buildings to increase their energy efficiency. She has paved a road to social service by helping blind students by writing their exam papers as a writer. She has a creative mind which reflects on her canvas. From last seven years she is participating in art magic group’s painting exhibition and also works as assistant teacher for art magic painting classes. Her hobbies are skating, painting, reading, traveling and listening to music. 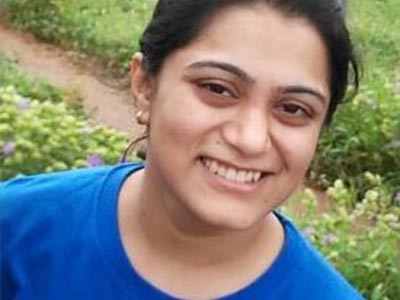 Devashree Joshi is an intern in TERRE Policy Centre. 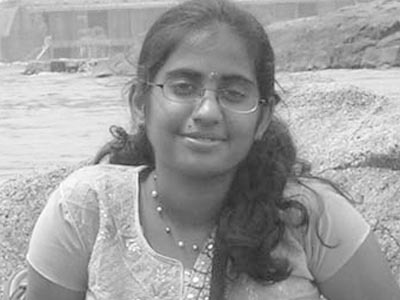 She is currently pursuing her Bachelors degree in Computer Science from MACS College, Pune. Along with this, she is a certified volunteer at Foliage Outdoors. She conducts kids, wildlife and adventure camps. Due to her interest in outdoors, she joined TERRE to do her bit for the environment. Her hobbies include learning new cultures and languages, reading mythological, mystery novels, listening to music and traveling! Riddhi has joined TERRE Policy Centre as Intern from May to June 2016. Presently she is doing her Masters of Architecture in Environmental Architecture from Dr Bhanuben Nanavati College Of Architecture For Woman. 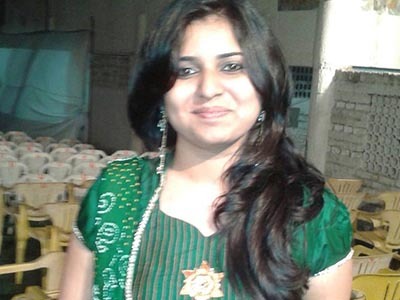 She has completed her Bachelor of Architecture from I.D.E.A.S., Nagpur. Her aim is to incorporate sustainability and energy efficient solution into building process. Her Hobbies includes sketching, painting, reading books, photography and many more. Abirami Shanmugam is an intern in Terre Policy center. She is currently doing her Masters in Environmental Architecture (M.Arch) in Dr. Bhanuben Nanavati College of Architecture in Pune. Prior to this she had worked for three years in the field of Architecture as a Senior Architect in Hyderabad and Chennai. She had also been a freelance architect for two years. And also has experience in the field of Teaching as an Asst. 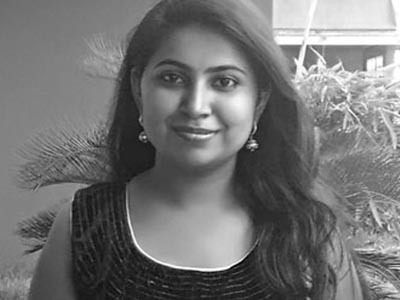 Professor for a year in Chennai, during when she got interested in the field of sustainable architecture and environment friendly design, which led her to pursue M.Arch (Environment), to learn more about the subject. Her Hobbies includes Reading Books, Knitting and Origamy, and also, Listening to music. He has joined Terre Policy Centre as an interns and showing his interest towards Renewable Energy.” He want to contribute his efforts to reduce the pollution and achieve the sustainable development. But according to him, we can’t achieve sustainable development till we can’t provide an ecofriendly,sustainable and affordable option or solution to the society &Renewable energy is the best option of sustainable energy. He likes to enjoy natural spots, also to help and work for the people. His hobbies are listening music, painting, playing cricket, reading etc. 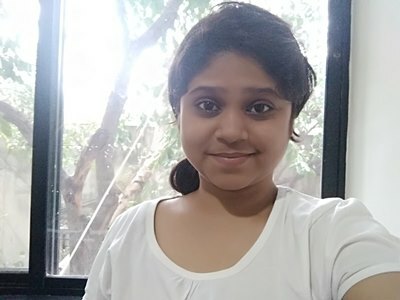 Saloni Deshpande iscurrently pursuing a Masters Degree in Disaster Management under Pondicherry University in Port Blair and has completed B.Sc. in Geography from S.P. College. She wants to dedicate her time and effort in the water conservation and awareness of its availability, since that is the greatest problem faced by our country presently according to her. She has a work experience with Chanankya Mandal Pariwar and was in the Organizing Committee of National Geography Youth Summit held at Bengaluru, which was India’s first conference on Geography Education and Research. She has participated in a survey for Crocodile Census 2015 conducted by the Forest Department of Andaman and Nicobar Islands at South Andaman. Her hobbies include travelling, scuba diving, badminton, music, sketching. Ankita is an intern in TERRE policy centre. She is currently pursuing Masters degree in Environmental Engineering at Sinhgad College of Engineering in Pune. She has completed her Bachelor's degree in Civil Engineering. She wants to utilise her knowledge and skills that offers sustainable development in the field of Environmental Engineering. She wants to contribute her efforts in the study of Meteorology and Climate Change. 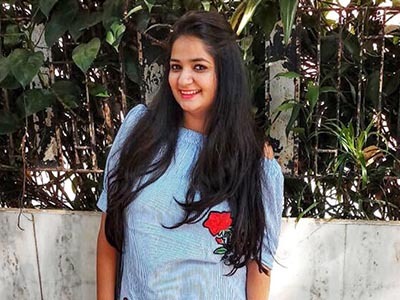 Her hobbies include Drawing, Crafting (FB Page "Ankita's Arts and Crafts"), Photography, Reading, Writing, Traveling, Cricket, Badminton, Music etc. Ronit has joined as Intern in October 2016. She is from Germany and presently doing her Bachelor of Geography from Rheinische-Friedrich-Wilhelms University Bonn, Germany. 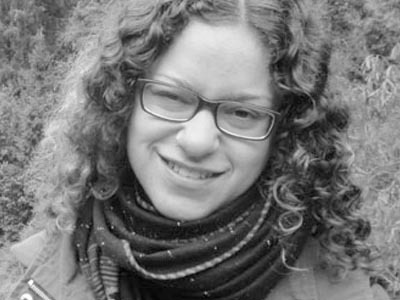 Ronit wants to take part in conserving environment through environmental education. She already joined and organised different environmental education camps in Germany. As Ronit loves to explore new places she also wants to learn more about environment work in India. Her Hobbies includes singing in choir, travelling, hiking and many more. Shravani completed her graduation in Environmental Science from Fergusson College, Pune. She is interested in pursuing her Masters in the same field. Being an EVS student and an environment enthusiast, she joined TERRE Policy Centre to contribute her bit. She wishes to learn more about sustainable living, resource management and pollution control while working here. Apart from that, Shravani is a certified volunteer at Foliage Outdoors and has successfully conducted kids, wildlife and adventure camps for the past 6 years. Her hobbies include reading, music, travelling and trekking.